I bet that is quite a ride up in the crows nest. Even in calm water is must move around quite a bit, but what a view. "Artus" is a Havyard 515 design and this fishing vessel have focus on practical solutions, economical operation, and seaworthiness. Besides the RSW tanks there is also a freezer insulated cargo. The vessel's cargo tanks can be arranged for transport of live fish. 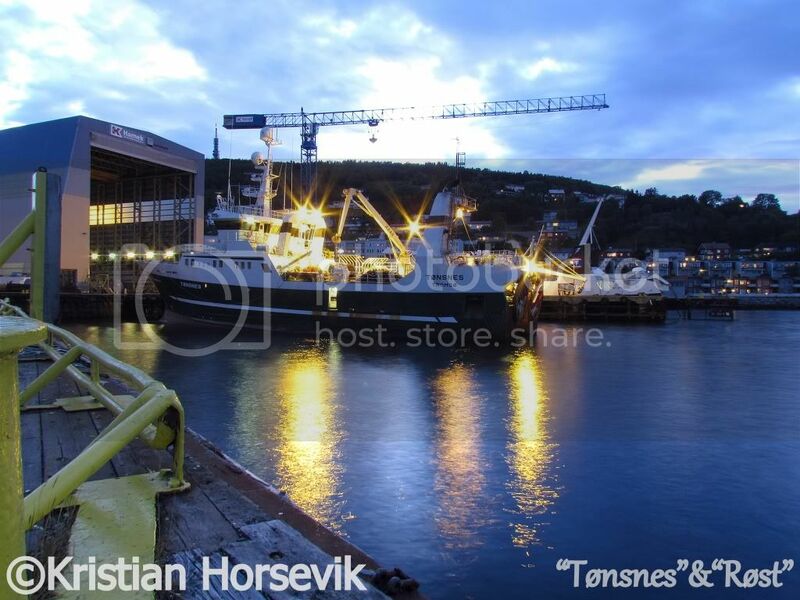 This vessel was christened on June 18 this year at Fosnavåg, and went up to Bear Island to start fishing immediately afterwards. Here she is underway to Skjelnan oil facilities yesterday afternoon to refuel. Nice Seiner. Packed with equipment for safe handling of the seine net with a minimum of hard and risky labour by her crew. PS> I knew that Fosnavaag had become a "City", but I didn't know that they had become an independent country with their own flag, as seen flying from the gaff of this vessel registered there. BRA-7 Jade entering Den Helder harbour. 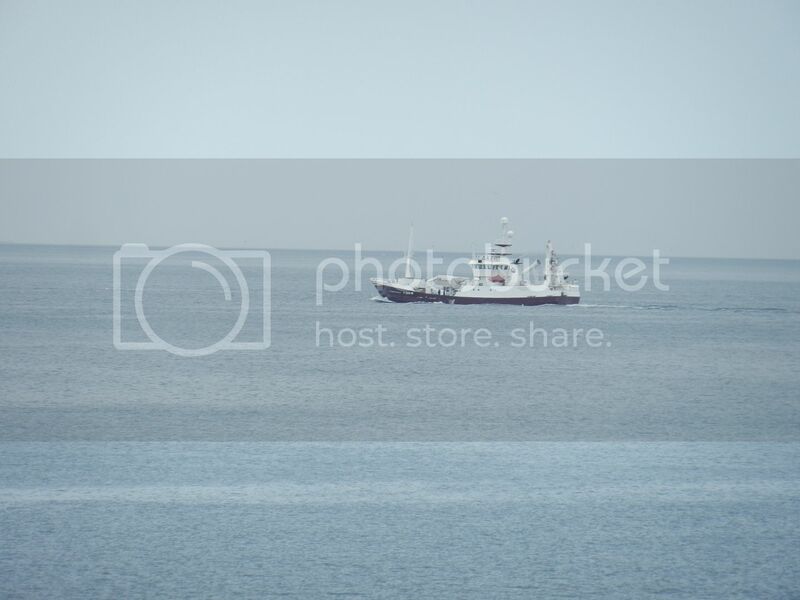 Russian fishing vessel "Vladimir Zagoskin" heading out for fishing field this evening. 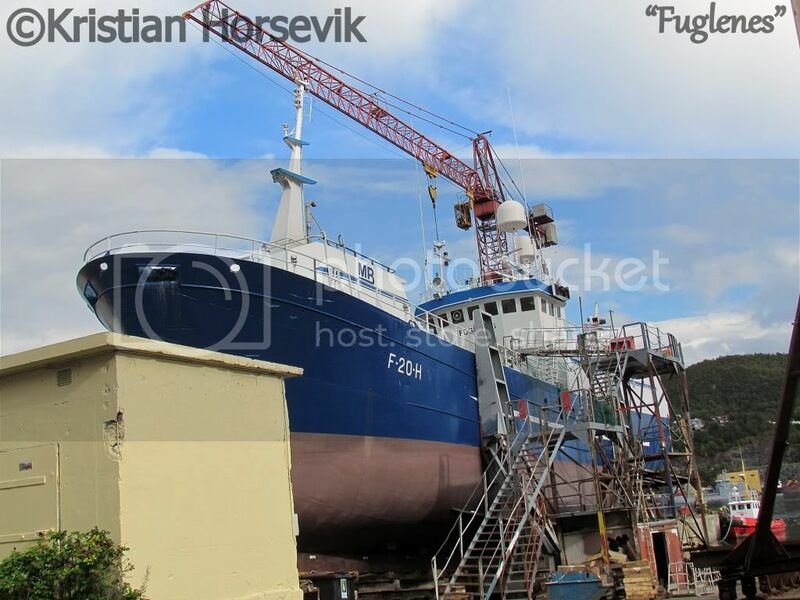 A "Storvik Trawler", built at that other yard in Kr.sund. Anybody know her former name?? There were a lot of this design built in the 1970-80 period, but all for Norwegian Owners as far as I know. Here is the previous name for that ship. 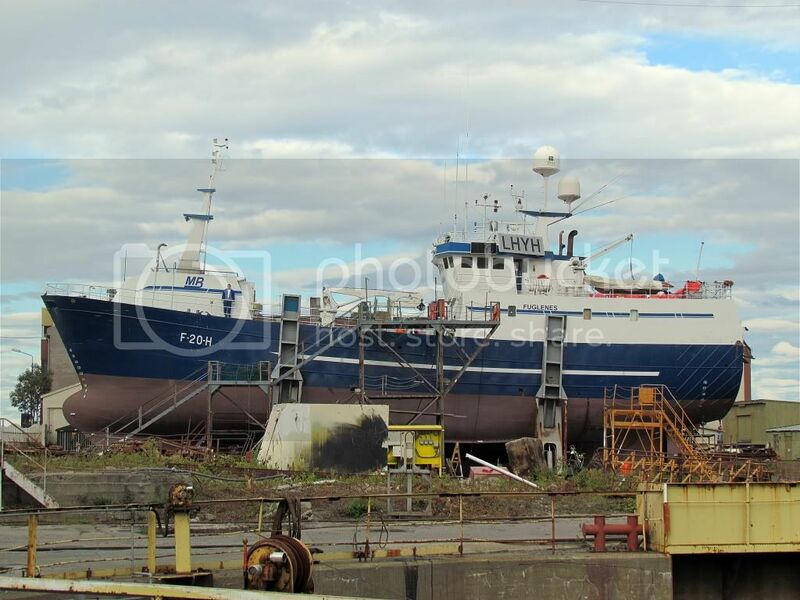 2000 - 2002 JSC Terfishing Ltd.
"Geir Roger" left Tromsø earlier today,and set course for the fishing field. "Havstrand" heading out monday evening. 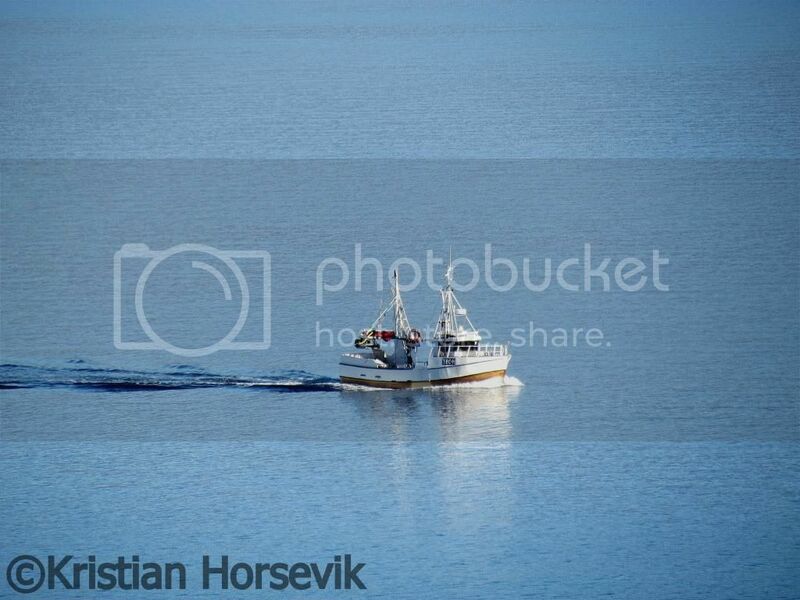 Russian fishing vessel "Obeliai" left Tromsø this evening and set course for the fishing field.